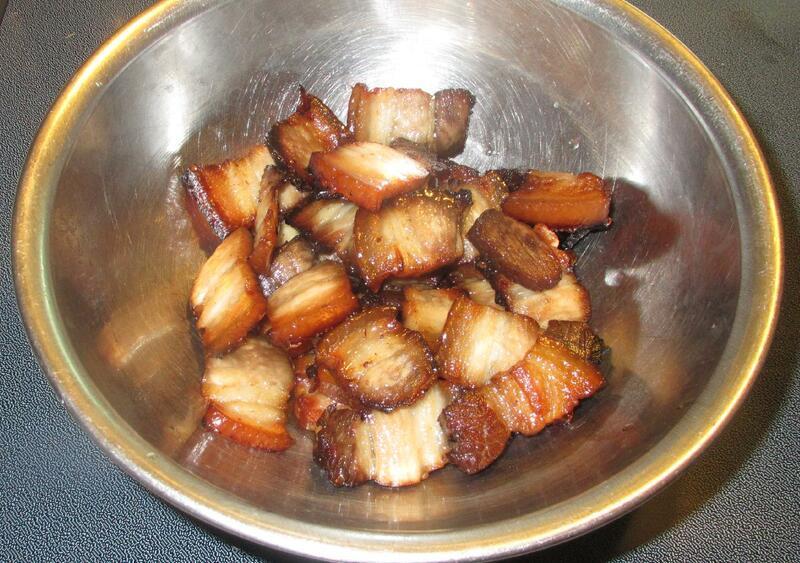 Here is the red-cooked pork belly I previously prepared. You need a whole piece of belly, ideally with the rind still attached, and it is a good idea to cut it into two pieces before cooking. 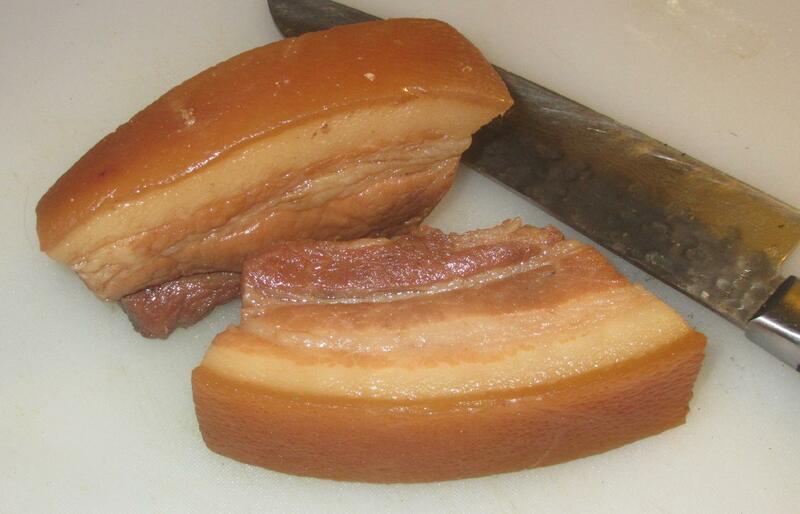 If you have a Chinese Master Sauce on the go, by all means use that, or, alternatively, you can make the same cooking medium as in the Dongpo Pork recipe I recently posted. In either case, just bring the sauce to a boil, add the pork and then simmer over moderate heat for about twenty minutes and then allow the meat to cool in the liquid. Afterwards, dry the meat and slice it into rectangles about 1/3 of an inch thick. Heat a little oil in your wok over fairly high heat and then quickly sauté the pork pieces until they are nicely browned. Remove the pieces to a separate bowl for now. 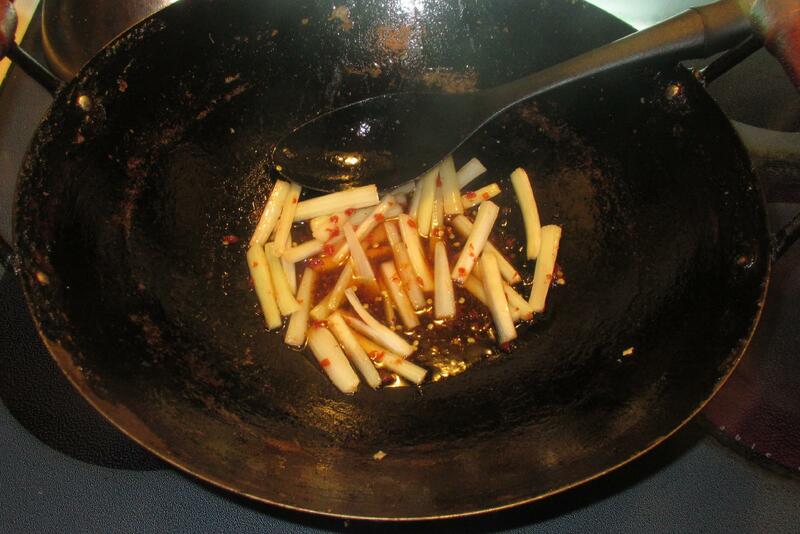 There will have been a lot of fat thrown off during the process so drain off the extra leaving just a tablespoon or so in the bottom of the wok. Allow the oil to become hot again and then add in the celery. 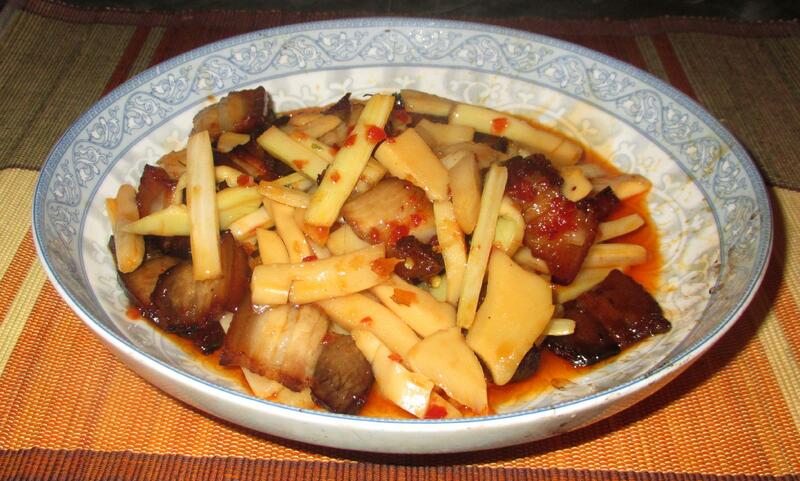 Sauté until it is softened slightly and then add the chili paste, sugar, and Shaoxing Wine. 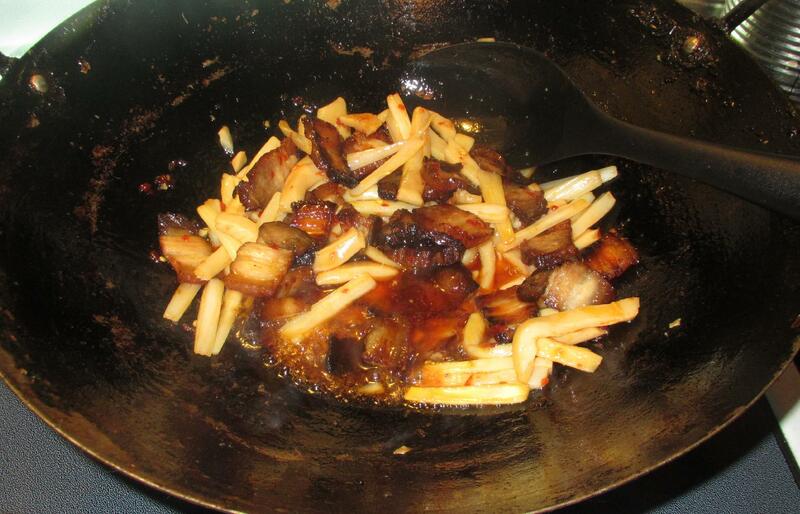 Stir the contents of the wok until the sauce thickens and add the bamboo shoots and the pork pieces. Continue to toss and stir for a minute or so longer until all is heated through and then plate and serve immediately.